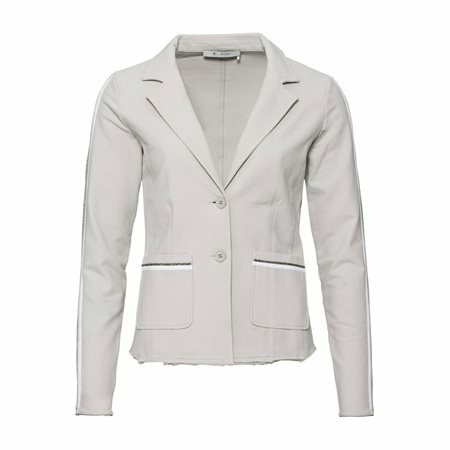 We all love a blazer especially one that has been designed with gorgeous diamante detailing along its two front pockets. This is a soft to touch blazer making it very comfortable to wear in a casual setting. This blazer buttons at the fold contains a fold down collar and is finished with metallic strip down each arm.